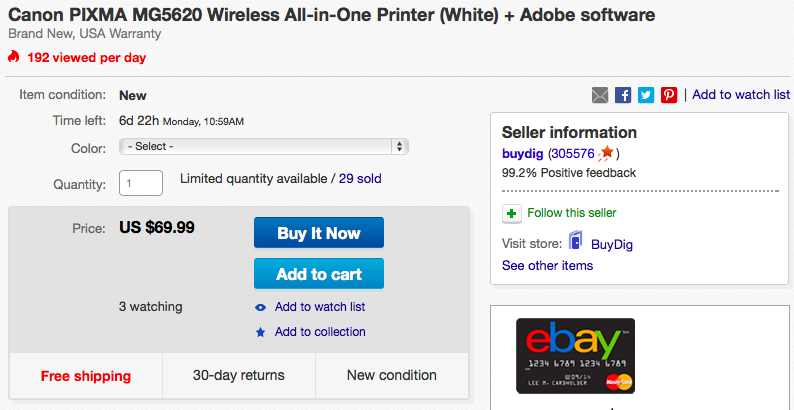 BuyDig via eBay Daily Deals offers the Canon (MG5620) Wireless All-in-One Printer (white or black) w/ AirPrint + Adobe Lightroom 5 or Photoshop/Premiere Elements 12 for $69.99 shipped. 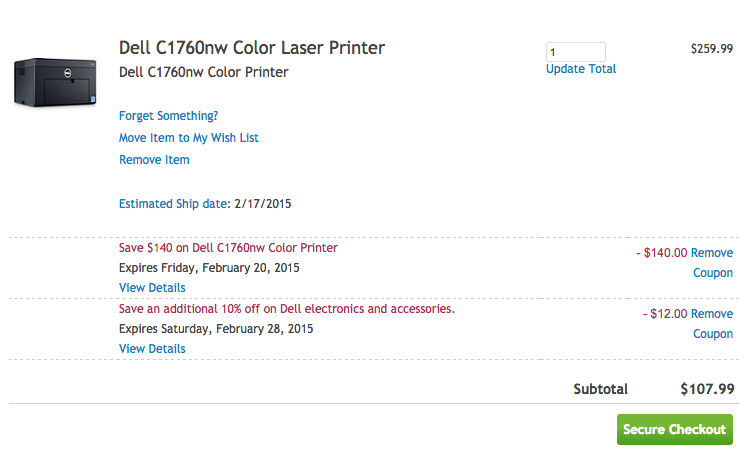 This package deal is a $220+ value, as this Canon printer goes for $70+ alone at retailers such as Amazon, Lightroom 5 originally retailed for $150 and Photoshop Elements/Premiere 12 was $150. 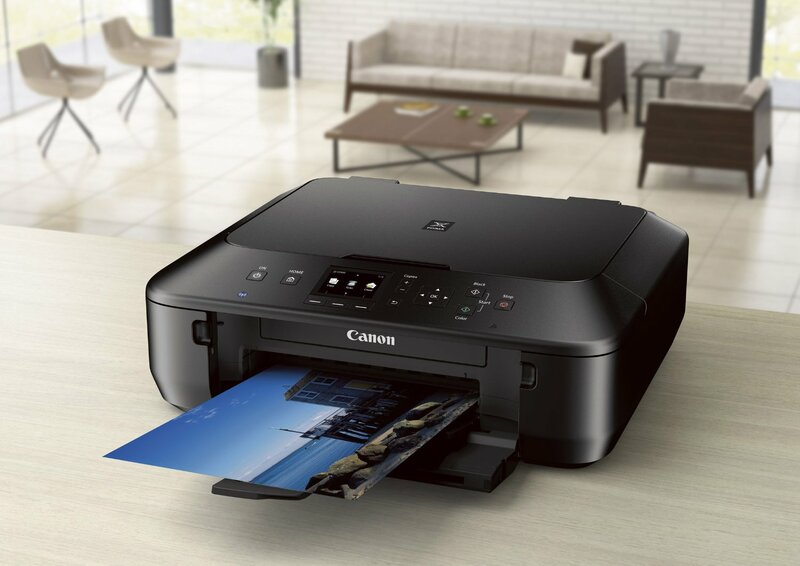 This highly-rated Canon AirPrint-enabled Inkjet can print wirelessly from Apple iOS devices, as well as copy and scan. It also has a 2.5-inch LCD display. Adobe Lightroom 5 is a photo management software that organizes and provides the tools to edit your photos. Key features include an advanced healing brush, radial gradient, location-based organization and selective adjustment brushes. Adobe Photoshop Elements offers basic photo management and editing features while Elements is a video editing suite. 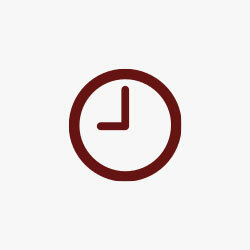 Both software options for this bundle are available for Mac OS X or Windows PC.